Global warming is the story of the twenty-first century. It is the most serious issue facing the future of humankind, but American energy and environmental policy is driving the whole world down a path toward global catastrophe. According to Joseph Romm, we have ten years, at most, to start making sharp cuts to our greenhouse gas emissions, or we will face disastrous consequences. The good news, he writes, is that there is something we can do—but only if the leadership of the U.S. government acts immediately and asserts its influence on the rest of the world. Hell and High Water is nothing less than a wake-up call to the country. 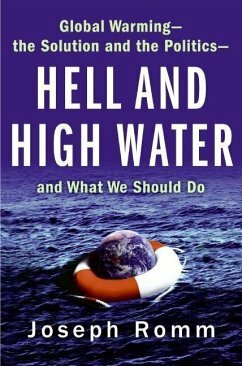 It is a searing critique of American environmental and energy policy, and a passionate call to action by a writer with a unique command of the science and politics of climate change.